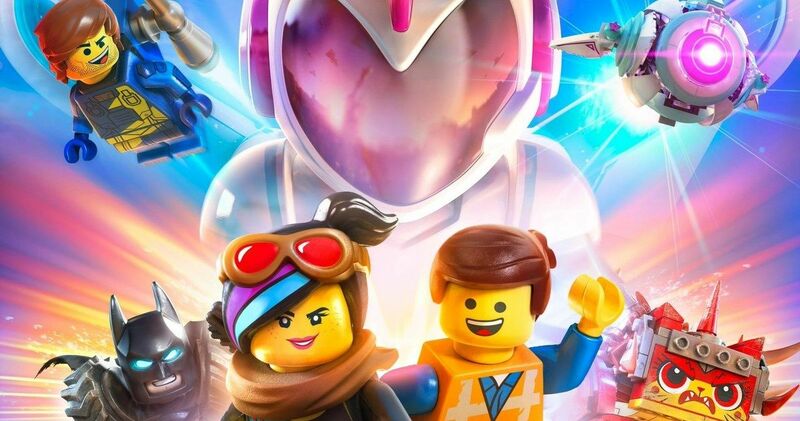 The LEGO Movie 2 picks up right where the first movie left off, before jumping ahead a whopping 5 year, introducing us to a new LEGO world unlike anything we have seen before. Though the majority of the characters are still present, except for Liam Neeson’s Bad Cop and Will Ferrell’s President Business, the characters are quite different from how we remember them in the last movie, which right off the bat helps to make this sequel stand out from its predecessor. Many animated sequels tend to have a bad habit of just repeating the first movie beat for beat, with very few changes in the characters or locations. While The LEGO Movie 2 still follows a similar hero’s journey, the sequel does a great job of expanding this LEGO cinematic universe. Outside of its new locations and a few new characters, what really made The LEGO Movie 2 stand out from its predecessor was its use of songs. While both The LEGO Movie and The LEGO Batman Movie featured a song that the characters would sing (“Everything is Awesome” and “Who’s the Batman?” respectively), the musical numbers in these movies were essentially one-and-done. The LEGO Movie 2: The Second Part, on the other hand, features several musical numbers throughout a good portion of its duration. The movie handled its transition into essentially an animated musical rather well, with the musical numbers almost always taking place in the “Sistar System,” which is the new world that the characters are introduced to in the second act. Because of this, the sudden addition of musical numbers felt like it was just one of the rules of this new world, rather than being a forced addition to the sequel just to get more music sales. While the movie was certainly still a lot of fun, with lots of laughs from beginning to end, it did have one inevitable flaw, which connects to the plot twist at the end of the last movie. The first LEGO Movie ended with the reveal that all of the events of the movie were taking place on a table in Will Ferrell’s basement, with Emmett representing Will Ferrell’s son who just wanted to play with all of the toys. Understandably, the sequel would have to acknowledge this plot twist and make it a big part of the plot in order to remain a decent sequel. Because of this, the understanding that the events of the LEGO characters was an analogy for the live action characters was present practically from beginning to end. Unfortunately, this made it harder to connect to the LEGO characters as an audience simply because we already knew that they weren’t the true protagonists of the story. While the way that the movie handled it was certainly better than them disregarding the humans of the story entirely, it still took away from the charm that made the first movie such a hit. In the end, this lack of charm was unavoidable, so all things considered, the writers handled this downside rather well, making the best of what they had.